Hooper’s War Now Available for on Amazon and Elsewhere! 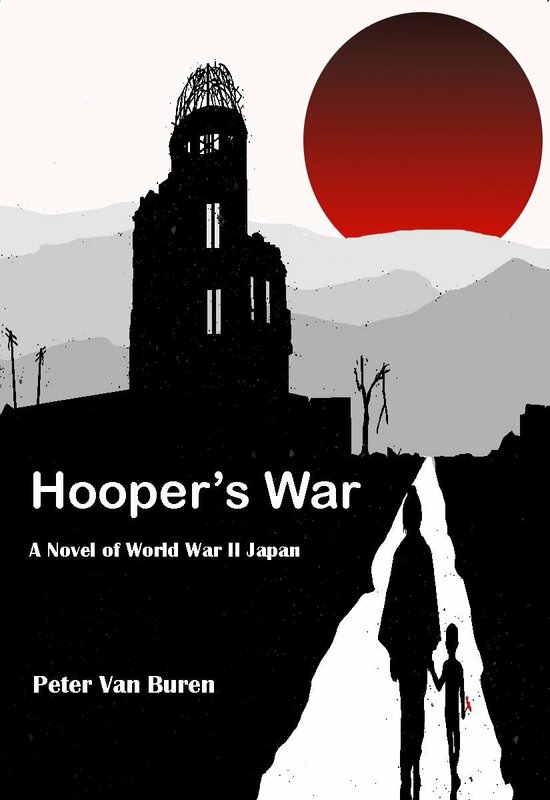 My new book, Hooper’s War: A Novel of WWII Japan is available now on Amazon. You can order it here. In Hooper’s War, a Novel of WWII Japan, an American veteran remembers his time in Japan during a World War II that might have been. In this alternate-history novel, author Peter Van Buren follows both present-day and historical timelines to explore what might have happened if the United States had launched a ground invasion of Japan to end the second world war instead of dropping the atomic bombs on Hiroshima and Nagasaki. In 2017, elderly Nate Hooper is in a retirement home, reflecting on a recent visit to Kyoto, during which he kept a promise to his late Japanese wife. But back in 1945, Hooper is an 18-year-old Army officer leading a group of equally young soldiers through the remnants of Kyoto, dealing with the horrors of war. The narrative jumps between the two timelines as Hooper contends with memories of battle and secrets he’s kept for decades. Readers gradually discover the truth about his wartime actions. Van Buren presents a complex world in which no action is ideal but avoiding decisions is impossible. The dialogue captures the raw emotion of war and the soldiers’ struggles for self-preservation amid moral injury. Hooper is an engaging main character, an innocent young man dealing with the loss of his illusions and the demands of a new role. Hooper’s War doesn’t provide simple answers, and readers are left with the understanding that decisions made in battle can be both right and wrong at the same time. Order your copy of Hooper’s War today! A Personal Note: If you enjoy this website and my other commentary, please consider buying a copy of Hooper’s War. Unlike most other sites, I don’t ask for donations, run funding drives, try and trick you into handing over your email address or any of the other annoyances out there. Instead, I rely on your book purchases to keep things afloat, and for me to keep running this site I need to ask for your support. Please also help out by tweeting about my book, and by recommending it to your local library. Ask for it at your local bookstore and see if they’ll carry it. I appreciate your help.